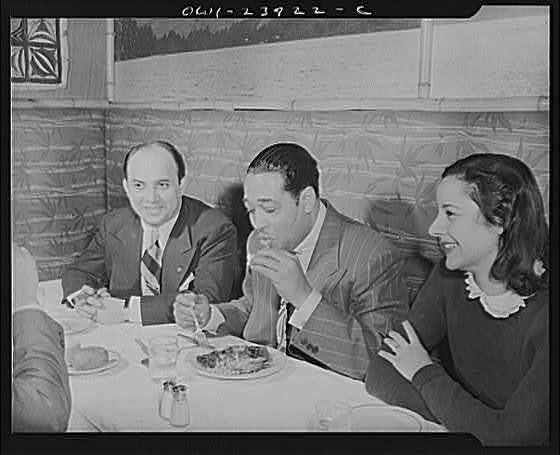 More gustatory goodness in “Duke Ellington’s Diet“; and for a bonus treat, read this 1944 New Yorker profile of Ellington. As we Take the A Train, we might recall that it was on this date in 1937 that the first animated-cartoon electric sign display in the U.S. was lit by its designer, Douglas Leigh, on the front of a building on Broadway in Times Square. It used 2,000 bulbs, and its four-minute show included a cavorting horse a ball tossing cats. 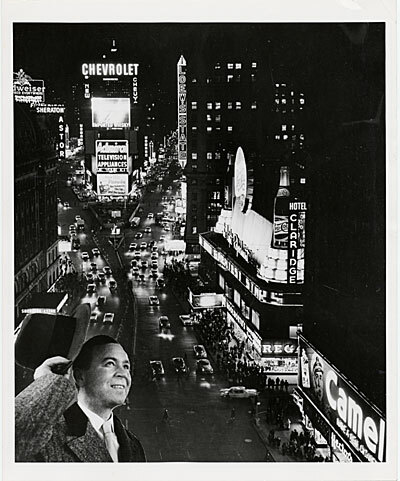 Leigh, who went on to design such famous billboards as the Eight O’Clock Coffee sign (with a coffee pot that was, literally, steaming) and the Camel Cigarette sign (that blew smoke rings), became know as “The Man Who Lit Up New York.” While his signs are now gone, his lighting of the Empire State Building (Leigh was also a pioneer in the illumination of city skylines and buildings) survives; and his large illuminated snowflake is still hung at the intersection of Fifth Avenue and 57th Street every holiday season.